Peng, Xinxing Abelson, Alex Wang, Yu Qian, Caroline Shangguan, Junyi Zhang, Qiubo Yu, Lei Yin, Zu-Wei Zheng, Wenjing Bustillo, Karen C. Guo, Xuyun Liao, Hong-Gang Sun, Shi-Gang Law, Matt and Zheng, Haimei 2019. 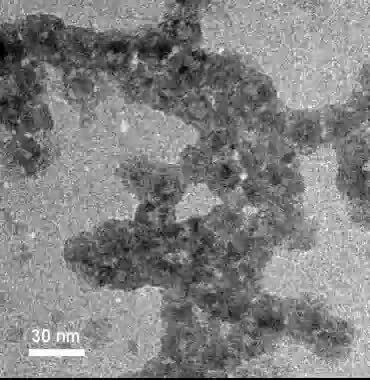 In Situ TEM Study of the Degradation of PbSe Nanocrystals in Air. Chemistry of Materials, Vol. 31, Issue. 1, p. 190. Azarsa, Pejman and Gupta, Rishi 2018. Specimen preparation for nano-scale investigation of cementitious repair material. Micron, Vol. 107, Issue. , p. 43. Meirer, Florian and Weckhuysen, Bert M. 2018. Spatial and temporal exploration of heterogeneous catalysts with synchrotron radiation. Nature Reviews Materials, Vol. 3, Issue. 9, p. 324. DEMBELE, K. MOLDOVAN, S. HIRLIMANN, Ch. HARMEL, J. SOULANTICA, K. SERP, P. CHAUDRET, B. GAY, A.-S. MAURY, S. BERLIET, A. FECANT, A. and ERSEN, O. 2018. Reactivity and structural evolution of urchin-like Co nanostructures under controlled environments. Journal of Microscopy, Vol. 269, Issue. 2, p. 168.
van Omme, J. Tijn Zakhozheva, Marina Spruit, Ronald G. Sholkina, Mariya and Pérez Garza, H. Hugo 2018. Advanced microheater for in situ transmission electron microscopy; enabling unexplored analytical studies and extreme spatial stability. Ultramicroscopy, Vol. 192, Issue. , p. 14. Wang, Xiao He, Maoshuai and Ding, Feng 2018. Chirality-controlled synthesis of single-walled carbon nanotubes—From mechanistic studies toward experimental realization. Materials Today, Vol. 21, Issue. 8, p. 845. Dou, Jian Sun, Zaicheng Opalade, Adedamola A. Wang, Nan Fu, Wensheng and Tao, Franklin (Feng) 2017. Operando chemistry of catalyst surfaces during catalysis. Chemical Society Reviews, Vol. 46, Issue. 7, p. 2001. Genty, Eric Jacobs, Luc Bocarmé, Thierry Visart de and Barroo, Cédric 2017. Dynamic Processes on Gold-Based Catalysts Followed by Environmental Microscopies. Catalysts, Vol. 7, Issue. 5, p. 134. Zhang, Dejiong Jin, Chuanhong Li, Z.Y. Zhang, Ze and Li, Jixue 2017. Oxidation behavior of cobalt nanoparticles studied by in situ environmental transmission electron microscopy. Science Bulletin, Vol. 62, Issue. 11, p. 775. Zhu, Yuanyuan and Browning, Nigel D. 2017. The Role of Gas in Determining Image Quality and Resolution During In Situ Scanning Transmission Electron Microscopy Experiments. ChemCatChem, Vol. 9, Issue. 18, p. 3478. Schnadt, J. Knudsen, J. and Shavorskiy, A. 2017. Reference Module in Chemistry, Molecular Sciences and Chemical Engineering. Yokosawa, Tadahiro Tichelaar, Frans D. and Zandbergen, Henny W. 2016. In-Situ TEM on Epitaxial and Non-Epitaxial Oxidation of Pd and Reduction of PdO at P = 0.2-0.7 bar and T = 20-650 °C. European Journal of Inorganic Chemistry, Vol. 2016, Issue. 19, p. 3094. Wu, Yimin A. Li, Liang Li, Zheng Kinaci, Alper Chan, Maria K. Y. Sun, Yugang Guest, Jeffrey R. McNulty, Ian Rajh, Tijana and Liu, Yuzi 2016. Visualizing Redox Dynamics of a Single Ag/AgCl Heterogeneous Nanocatalyst at Atomic Resolution. 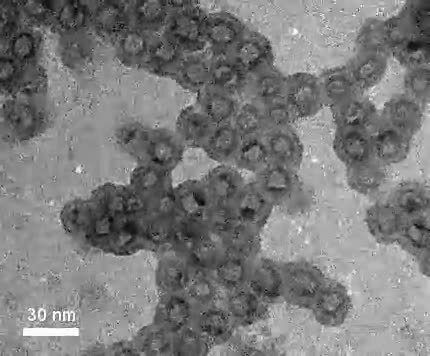 ACS Nano, Vol. 10, Issue. 3, p. 3738. Bataineh, Khaled M. 2016. Developing of an environmental cell TEM holder for dynamic in situ observation. Review of Scientific Instruments, Vol. 87, Issue. 2, p. 023705. Lin, Ruoqian Han, Lili and Xin, Huolin L. 2016. Increasing the Dimensionality of In-situ Electron Microscopy Data Sets by On-the-fly and Analytical Electron Tomography. Microscopy and Microanalysis, Vol. 22, Issue. S3, p. 724. Aguiar, Jeffery A. Wozny, Sarah Alkurd, Nooraldeen R. Yang, Mengjin Kovarik, Libor Holesinger, Terry G. Al-Jassim, Mowafak Zhu, Kai Zhou, Weilie and Berry, Joseph J. 2016. Effect of Water Vapor, Temperature, and Rapid Annealing on Formamidinium Lead Triiodide Perovskite Crystallization. ACS Energy Letters, Vol. 1, Issue. 1, p. 155. Tao, Franklin (Feng) and Crozier, Peter A. 2016. Atomic-Scale Observations of Catalyst Structures under Reaction Conditions and during Catalysis. Chemical Reviews, Vol. 116, Issue. 6, p. 3487. The understanding of solid–gas interactions has been greatly advanced over the past decade on account of the availability of high-resolution transmission electron microscopes (TEMs) equipped with differentially pumped environmental cells. The operational pressures in these differentially pumped environmental TEM (DP-ETEM) instruments are generally limited up to 20 mbar. Yet, many industrial catalytic reactions are operated at pressures equal or higher than 1 bar—50 times higher than that in the DP-ETEM. This poses limitations for in situ study of gas reactions through ETEM and advances are needed to extend in situ TEM study of gas reactions to the higher pressure range. Here, we present a first series of experiments using a gas flow membrane cell TEM holder that allows a pressure up to 4 bar. The built-in membrane heaters enable reactions at a temperature of 95–400°C with flowing reactive gases. We demonstrate that, using a conventional thermionic TEM, 2 Å atomic fringes can be resolved with the presence of 1 bar O2 gases in an environmental cell and we show real-time observation of the Kirkendall effect during oxidation of cobalt nanocatalysts. Allard, L.F., Overbury, S.H., Bigelow, W.C., Katz, M.B., Nackashi, D.P. & Damiano, J. (2012). Novel MEMS-based gas-cell/heating specimen holder provides advanced imaging capabilities for in situ reaction studies. Microsc Microanal 18, 656–666. Atkinson, A. (1986). Diffusion in oxides of the first transition series metals. DTIC Document. Available at www.dtic.mil/dtic/tr/fulltext/u2/a196091.pdf. Boyes, E.D. & Gai, P.L. (1997). Environmental high resolution electron microscopy and applications to chemical science. Ultramicroscopy 67, 219–232. Carter, C.B. & Williams, D. (2009). Transmission Electron Microscopy. New York: Springer-Verlag. Chen, W.K., Peterson, N.L. & Reeves, W.T. (1969). Isotope effect for cation self-diffusion in CoO crystals. Phys Rev 186, 887–891. Chenna, S., Banerjee, R. & Crozier, P.A. (2011). Atomic-scale observation of the Ni activation process for partial oxidation of methane using in situ environmental TEM. Chem Cat Chem 3, 1051–1059. Chuang, W.-H., Luger, T., Fettig, R.K. & Ghodssi, R. (2004). Mechanical property characterization of LPCVD silicon nitride thin films at cryogenic temperatures. J Microelectromech Sys 13, 870–879. Crane Co. (Ed.). (2011). Flow of Fluids through Valves, Fittings and Pipe. Stamford, CT: Crane. Creemer, J.F., Helveg, S., Hoveling, G.H., Ullmann, S., Molenbroek, A.M., Sarro, P.M. & Zandbergen, H.W. (2008). Atomic-scale electron microscopy at ambient pressure. Ultramicroscopy 108, 993–998. de Jonge, N., Bigelow, W.C. & Veith, G.M. (2010). Atmospheric pressure scanning transmission electron microscopy. Nano Lett 10, 1028–1031. de Jonge, N. & Ross, F.M. (2011). Electron microscopy of specimens in liquid. Nat Nano 6, 695–704. Egerton, R.F. (2011). Electron Energy-Loss Spectroscopy in the Electron Microscope, 3rd ed. New York: Springer Science + Business Media. Frances, M.R. (2010). Controlling nanowire structures through real time growth studies. Rep Prog Phys 73, 114501. Goldstein, J., Newbury, D.E., Joy, D.C., Lyman, C.E., Echlin, P., Lifshin, E., Sawyer, L. & Michael, J.R. (2003). Scanning Electron Microscopy and X-Ray Microanalysis, 3rd ed. New York: Springer. Gusak, A.M., Zaporozhets, T.V., Tu, K.N. & Gösele, U. (2005). Kinetic analysis of the instability of hollow nanoparticles. Philos Mag 85, 4445–4464. Haider, M., Müller, H., Uhlemann, S., Zach, J., Loebau, U. & Hoeschen, R. (2008). Prerequisites for a Cc/Cs-corrected ultrahigh-resolution TEM. Ultramicroscopy 108, 167–178. Hansen, P.L., Wagner, J.B., Helveg, S., Rostrup-Nielsen, J.R., Clausen, B.S. & Topsøe, H. (2002). Atom-resolved imaging of dynamic shape changes in supported copper nanocrystals. Science 295, 2053–2055. Hansen, T.W. & Wagner, J.B. (2012). Environmental transmission electron microscopy in an aberration-corrected environment. Microsc Microanal 18, 684–690. Hatty, V., Kahn, H. & Heuer, A.H. (2008). Fracture toughness, fracture strength, and stress corrosion cracking of silicon dioxide thin films. J Microelectromech Sys 17, 943–947. Jinschek, J.R. & Helveg, S. (2012). Image resolution and sensitivity in an environmental transmission electron microscope. Micron 43, 1156–1168. Kisielowski, C., Freitag, B., Bischoff, M., van Lin, H., Lazar, S., Knippels, G., Tiemeijer, P., van der Stam, M., von Harrach, S., Stekelenburg, M., Haider, M., Uhlemann, S., Müller, H., Hartel, P., Kabius, B., Miller, D., Petrov, I., Olson, E.A., Donchev, T., Kenik, E.A., Lupini, A.R., Bentley, J., Pennycook, S.J., Anderson, I.M., Minor, A.M., Schmid, A.K., Duden, T., Radmilovic, V., Ramasse, Q.M., Watanabe, M., Erni, R., Stach, E.A., Denes, P. & Dahmen, U. (2008). Detection of single atoms and buried defects in three dimensions by aberration-corrected electron microscope with 0.5-Å information limit. Microsc Microanal 14, 469–477. Railsback, J.G., Johnston-Peck, A.C., Wang, J. & Tracy, J.B. (2010). Size-dependent nanoscale Kirkendall effect during the oxidation of nickel nanoparticles. ACS Nano 4, 1913–1920. Reed, S. (1982). The single-scattering model and spatial resolution in X-ray analysis of thin foils. Ultramicroscopy 7, 405–409. Rez, P. (1983). A transport equation theory of beam spreading in the electron microscope. Ultramicroscopy 12, 29–38. Sharma, R. (2001). Design and applications of environmental cell transmission electron microscope for in situ observations of gas–solid reactions. Microsc Microanal 7, 494–506. Sharma, R. & Weiss, K. (1998). Development of a TEM to study in situ structural and chemical changes at an atomic level during gas-solid interactions at elevated temperatures. Microsc Res Tech 42, 270–280. Smith, J.M., Van Ness, H.C. & Abbott, M. (2004). Introduction to Chemical Engineering Thermodynamics. New York: McGraw-Hill. Sun, L., Noh, K.W., Wen, J.-G. & Dillon, S.J. (2011). In situ transmission electron microscopy observation of silver oxidation in ionized/atomic gas. Langmuir 27, 14201–14206. Van Aert, S., Chen, J.H. & Van Dyck, D. (2010). Linear versus non-linear structural information limit in high-resolution transmission electron microscopy. Ultramicroscopy 110, 1404–1410. Vendelbo, S.B., Kooyman, P.J., Creemer, J.F., Morana, B., Mele, L., Dona, P., Nelissen, B.J. & Helveg, S. (2013). Method for local temperature measurement in a nanoreactor for in situ high-resolution electron microscopy. Ultramicroscopy 133, 72–79. Vlassak, J. & Nix, W. (1992). New bulge test technique for the determination of Young's modulus and Poisson's ratio of thin films. J Mater Res 7, 3242–3249. Yaguchi, T., Suzuki, M., Watabe, A., Nagakubo, Y., Ueda, K. & Kamino, T. (2011). Development of a high temperature-atmospheric pressure environmental cell for high-resolution TEM. J Electron Microsc 60, 217–225. Yin, Y., Rioux, R.M., Erdonmez, C.K., Hughes, S., Somorjai, G.A. & Alivisatos, A.P. (2004). Formation of hollow nanocrystals through the nanoscale Kirkendall effect. Science 304, 711–714. Yokosawa, T., Alan, T., Pandraud, G., Dam, B. & Zandbergen, H. (2012). In-situ TEM on (de)hydrogenation of Pd at 0.5–4.5 bar hydrogen pressure and 20–400°C. Ultramicroscopy 112, 47–52. Yoshida, H., Kuwauchi, Y., Jinschek, J.R., Sun, K., Tanaka, S., Kohyama, M., Shimada, S., Haruta, M. & Takeda, S. (2012). Visualizing gas molecules interacting with supported nanoparticulate catalysts at reaction conditions. Science 335, 317–319.